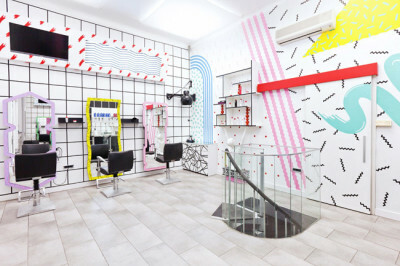 Mič Styling Salon, one of the most popular hair care options in Slovenia, has recently turned to design team Kitsch-Nitsch to create a fresh new look to draw in the next generation. The new Young Mič Styling brand boasts wild textures and colors that make the new hair salon an eye-popping environment dedicated to fashion and hair design. 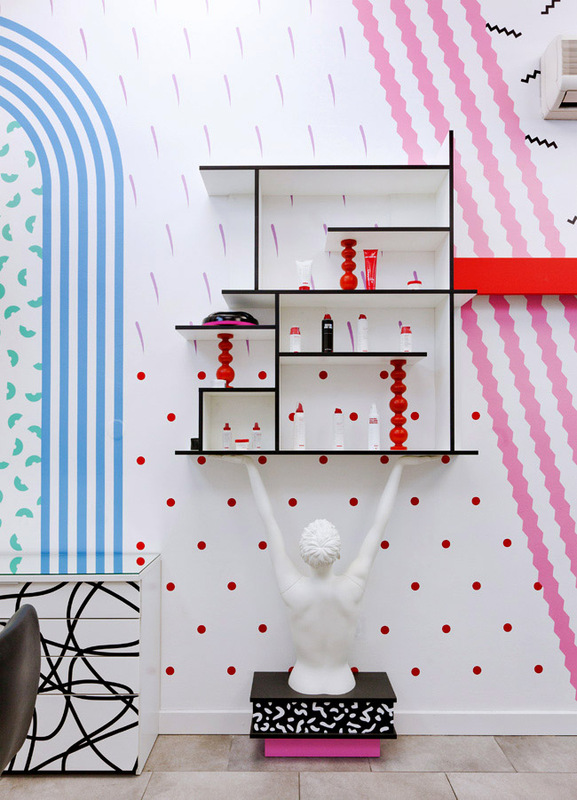 The bright cartoon-like colors and patterns make the new brand look almost like a doll house. The interior designer overhauled and updated the old hair salon space into an all new interior with attention grabbing workstations. 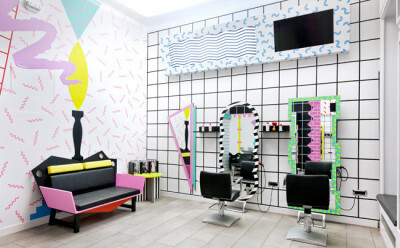 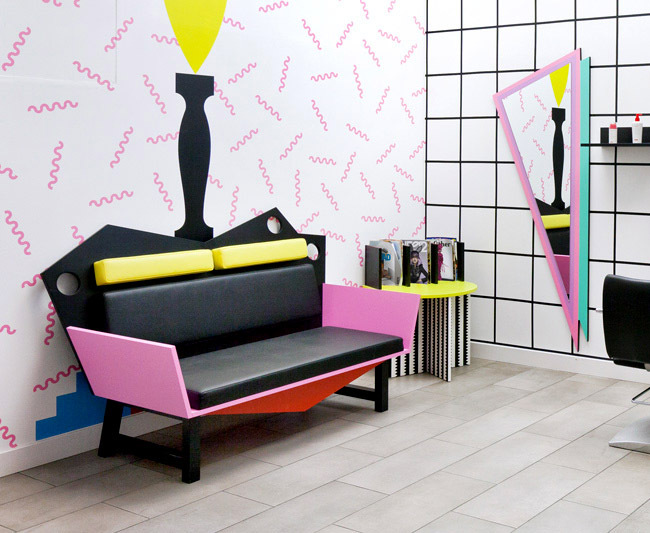 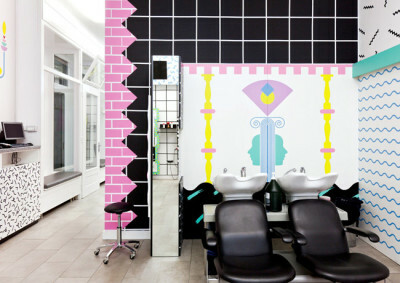 The walls and surfaces are covered with an assortment of bright and bold textures that are reminiscent of various hair textures and give the salon a unique visual branding style that speaks volumes. 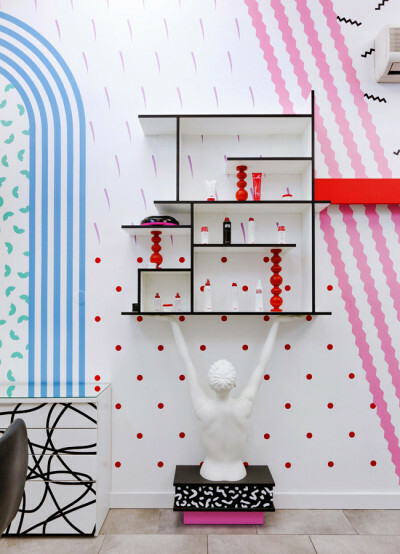 In addition to the modern bright contrasts decorating the walls and floor of Young Mič Styling Salon, the interior design team updated the interior with custom designed furniture pieces, storage spaces and wild art pieces. 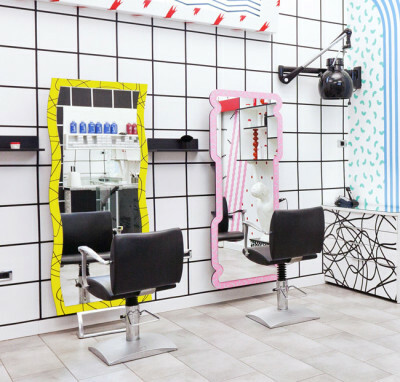 Seven custom designed mirrors open up the space and give each work station its own wild flair. The furniture, including shelving, tables and sitting areas, echoes principles of modern cubism for a fresh and funky stand out look. With jazzy textures and brightly bizarre designs covering every available surface, the new Young Mič Styling Salon is an eye popping new brand sure to appeal to fresh young customers in Slovenia.